The WPI Police Department is dedicated to providing a safe learning environment for our students, faculty, and staff. As members of the campus community, the department strives to uphold an environment where civility is practiced, diversity is respected, and safety is ensured. 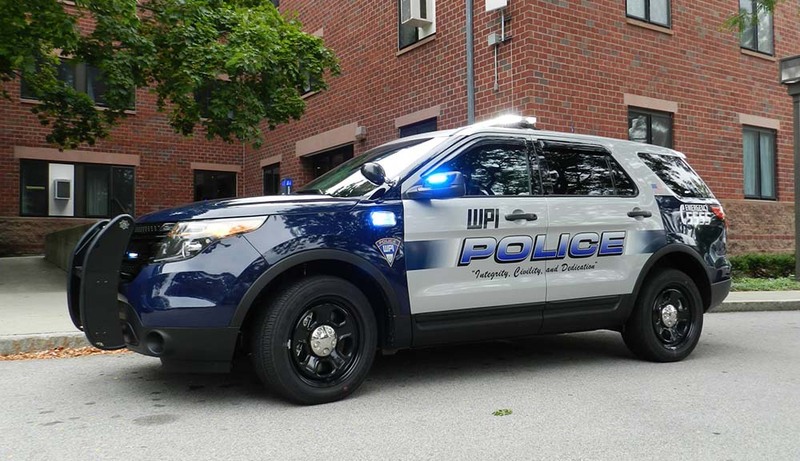 The WPI Police also provides educational and safety programs for the campus community and maintains a pro­active stance in prevention and security. To fulfill this goal, the department seeks out community involvement and encourages a combined police and community approach in problem solving and interactive relations. WPI police officers have arrest authority (under Chapter 22C of the Massachusetts General Laws) and are charged with the enforcement of federal, state, and local laws, as well as the enforcement of the college's policies and regulations (on WPI's property). They received their Police Academy training from the Massachusetts Criminal Justice Training Council or the Massachusetts State Police. Our department works closely with the Worcester Police Department on matters of safety and security, both on our campus property and in the community immediately surrounding WPI. WPI Police Parking Advisory for Wednesday, April 17th. Telecommunications Relay Service (TRS) for persons with hearing and speech disabilities: Dial 711 toll free. For a guide in using this service, visit the FCC usage page. Get more information about everything from security advisories and alerts to weather-related closings and delays.